If you are planning to spend summers lazing around under the sun, then Croatia is the place to go. 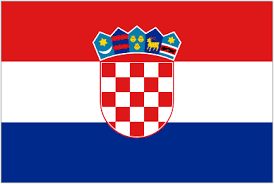 Croatia is a sovereign state at the crossroads of Central Europe, Southeast Europe and the Mediterranean. It offers a unique combination of breathtaking natural beauty, summertime sun, interesting architecture, incredible wine and delicious seafood. Plan out your summers now and let us, at TCE, look after your money matters. The Kuna is the official currency of Croatia. It has been in circulation since 1994. The code for Croatian Kuna is HRK. Each Kuna is divided into 100 lipa. The word Kuna means ‘marten’ in Croatian since it is based on the use of marten pelts as units of value in medieval trading. The word lipa means ‘lime tree’. At TCE, we offer the best exchange rates to our customers, unmatched by any other bank or exchange bureau in Canada. There are no hidden charges and our customers never over-pay. Our specialized services cater to the needs of our customers and ensure customer satisfaction. Time is as valuable as money. TCE offers its customers the option of ordering online. You can order online and opt for home delivery, which is through Canada post and takes only two business days. TCE is reliable and trust-worthy. You never over-pay, but end up saving money.